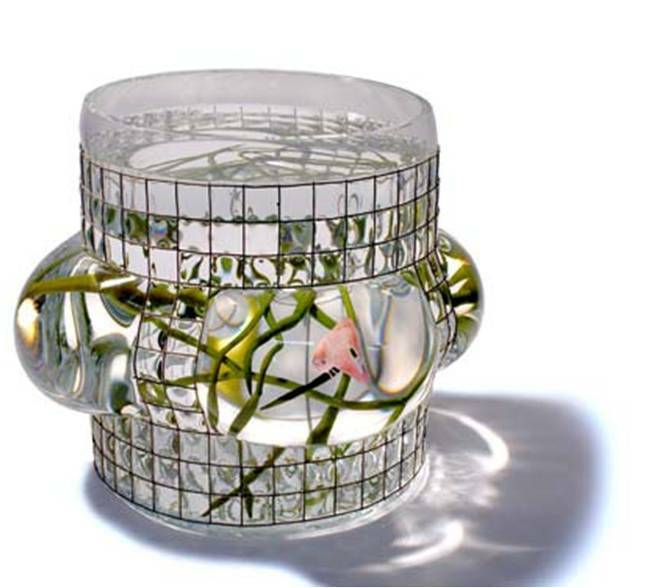 above: The No Limits Bowl, glass and porcelain. 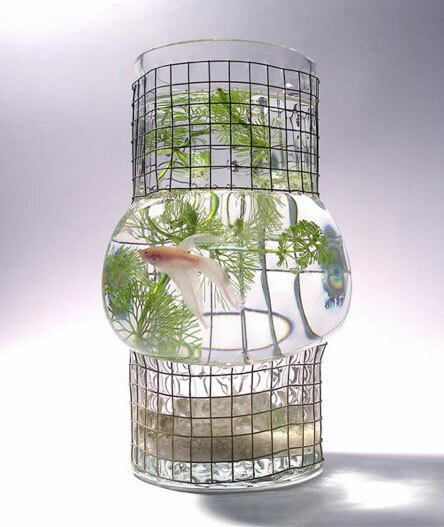 Amongst her large repertoire of work, French artist Vanessa Mitrani creates beautiful and functional hand-blown glass decorative vessels that can also function as fish tanks or fishbowls. 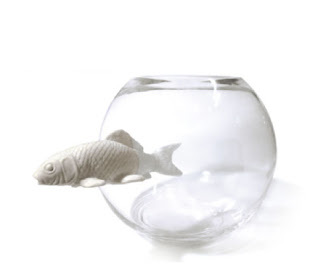 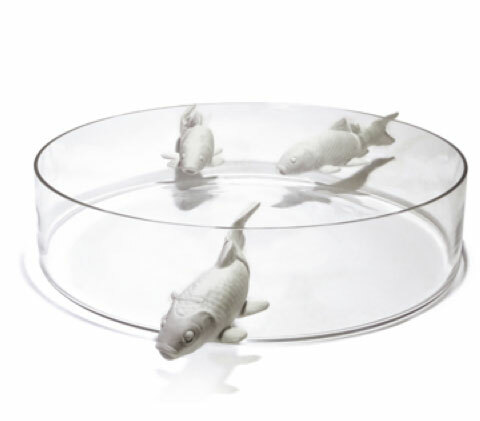 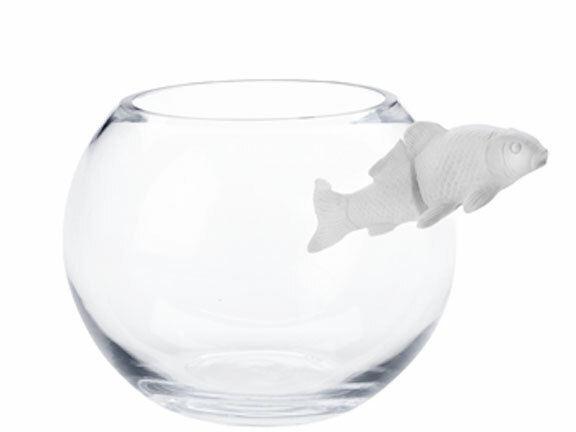 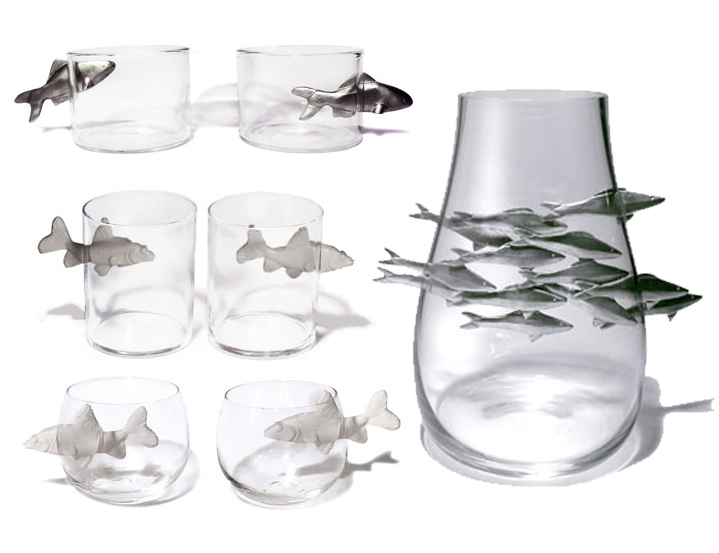 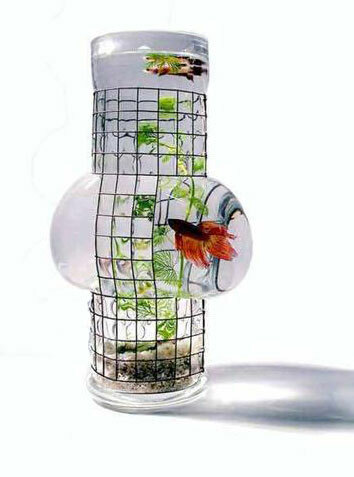 The latest of these objets d'art/aquariums is her No Limits Collection which features porcelain or aluminum cast fish half in and half out of their glass surroundings. As if escaping from their habitats, the fish create a sort of optical illusion, floating between their world of captivity and ours. 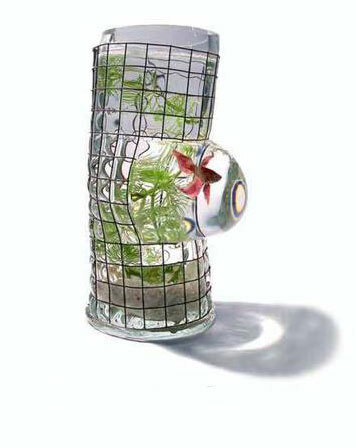 Her Aquarius Collection has been featured in various magazines and on design blogs touting their modern shape and convergence of nature and design. 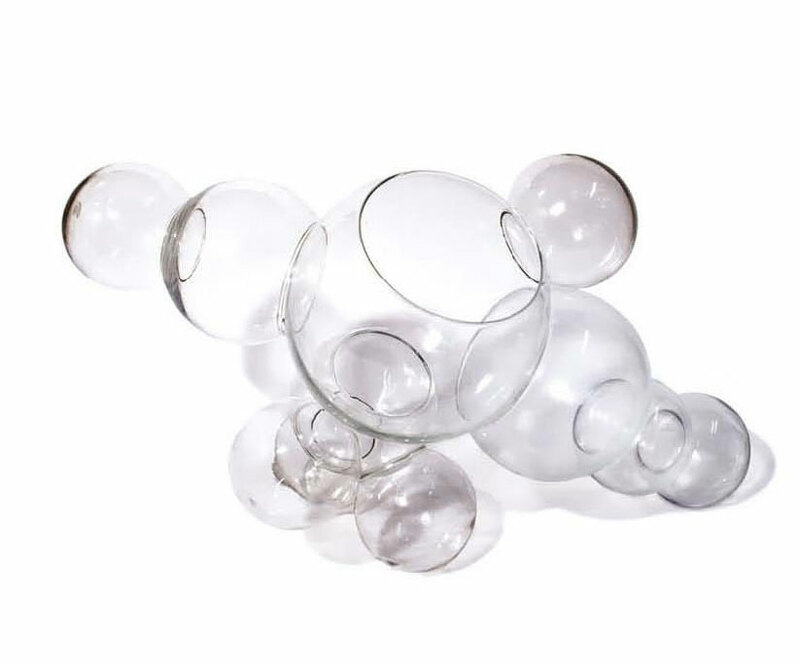 And finally, her Oxygen Collection consists of two pieces; a large and small version of fused round bowls that appear as connected bubbles, weightless and suspended in air. Glasssware is only a small part of Vanessa Mitrani's work. 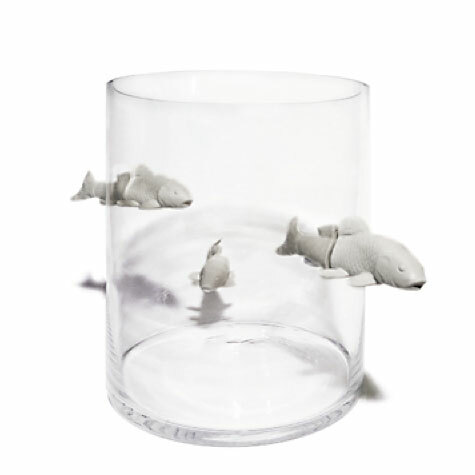 She also designs textiles, display products for merchandisers and works in porcelain. 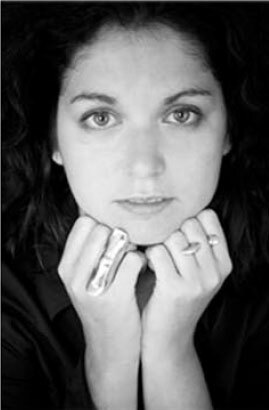 She has an impressive client list, having created pieces for Salviati, Ligne Roset and Roche Bobois, to name a few. 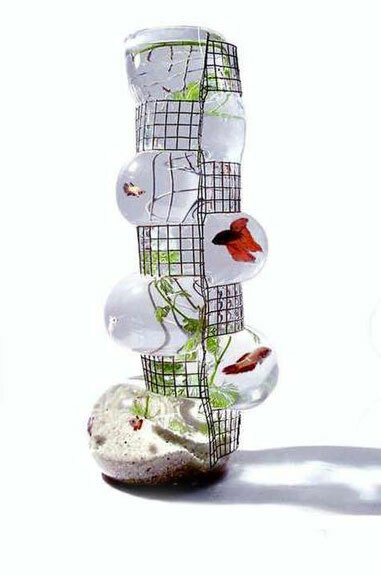 Many of her pieces are carried by exclusive galleries or high end boutiques. Vanessa Mitrani trained in furniture design at ENSAD, under the tutelage of Jean Claude Maugirard, spent a year at ADAC studios and worked with with the glass artist Pedro Veloso. 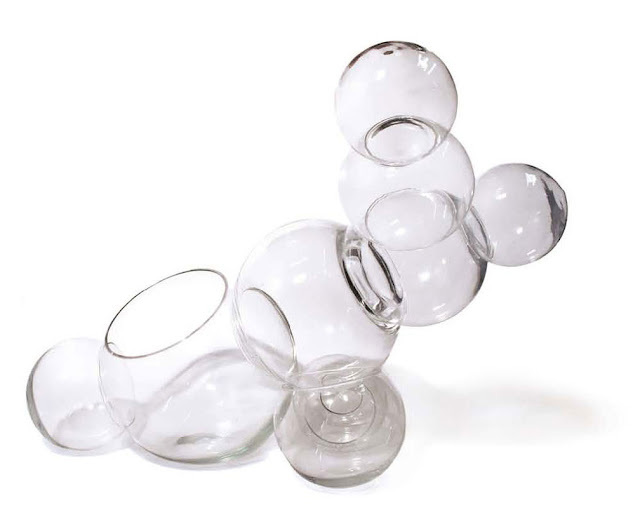 After graduating from ENSAD in 1999 she embarked on a professional career, the following year obtaining the VIA Label and created her first edition of vases for Ligne Roset. In 2002, she started Vanessa Mitrani Creations which developed original objects, products, furniture design, and produced pieces for Roche Bobois, Salviati, Neiman Marcus, l’Occitane en Provence and the Conran shop. 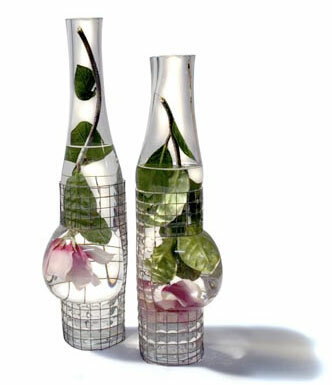 Mitrani also collaborates directly with factories in France, Portugal and India several times a year.